Liverpool host Tottenham in Saturday evening’s Premier League clash after the international break, a pivotal stop on Spurs' title challenge. Don't miss our LIVERPOOL v TOTTENHAM betting preview with predictions, betting tips, enhanced odds, probable lineups, bookmakers free bets and no deposit bonuses on the Premier League! Liverpool signed off for the international break by losing 3-2 at Southampton despite they were two goals up. It was their sixth defeat in their last 15 Premier League fixtures (W6-D3), a result that left the Reds 9th in the table, seven points back from Manchester City in 4th. They have lost only one of their last six home games so should be hopeful of a positive result. Christian Benteke is ruled out of the clash while Roberto Firmino will undergo a late assessment. Divock Origi is available for selection but Daniel Sturridge is expected to start as lone forward. Jordan Henderson should be fine to come into the side alongside Emre Can in midfield. Alberto Moreno has recovered from a hamstring injury. Dejan Lovren and Mamadou Sakho are expected to line up in central defence. Tottenham dispatched of Bournemouth 3-0 at White Hart Lane but remain five points adrift of Leicester at the top of the Premier League table.They simply have to win this game to keep their Premier League title bid on track and stay in the hunt. The Lilywhites have won eight and lost just one of their last 10 EPL matches. Furthermore, they have lost only one of their last six away league games, winning four of those. Mauricio Pochettino is again without Nabil Bentaleb and Clinton N'Jie through injury. Jan Vertonghen is close to a return from a knee injury, but he may not be quite ready to return, with Kevin Wimmer retaining his start with Toby Alderweireld. The starting full backs will be Danny Rose and Kyle Walker while Erik Lamela, Christian Eriksen and Dele Alli should start as offensive midfielders behind the in-form Harry Kane. Liverpool earned a 0-0 draw at White Hart Lane on the occasion of Klopp’s first game in charge of the Merseysiders back in October. Spurs have struggled at Anfield in recent years, losing their last three league meetings with Liverpool on Merseyside. Boosted price! 8/1 Liverpool to win the match! Double Boost: 6/1 Liverpool or 7/1 Tottenham to win! Crazy price! 9/1 Tottenham to beat Liverpool! 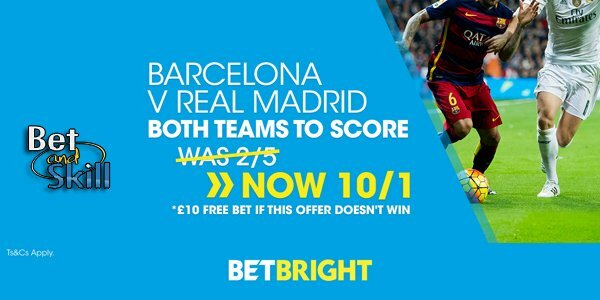 Enhanced Double: 10/1 Harry Kane to score anytime + £10 free! Price Boosts! 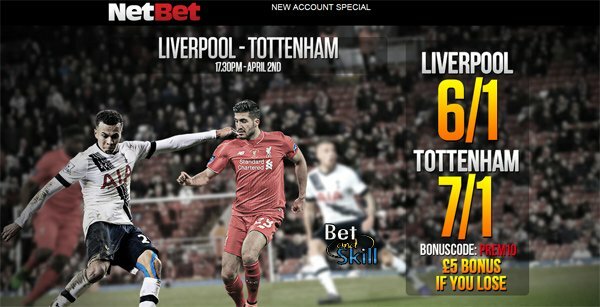 7/1 Liverpool or 10/1 Spurs to win + £100 bonus! Risk-free! "Liverpool v Tottenham betting tips, predictions, lineups and odds (Premier League - 2.4.2016)"